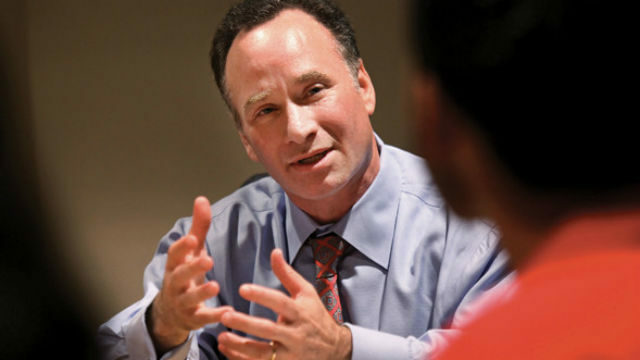 Elliot Hirshman will see off more than 10,000 graduates this weekend in his final commencement weekend as president of San Diego State University. The three most popular degrees in 2017 were psychology, criminal justice and business administration/finance, the school said. SDSU will host seven separate ceremonies Friday through Sunday at Viejas Arena and one ceremony Thursday at its Imperial Valley campus. The College of Sciences will hold the largest ceremony, honoring 1,778 degree candidates. The College of Engineering will have the most intimate ceremony, awarding 849 degrees. Among the standout students from this year’s graduating class is Anachristina Morino, who will receive a bachelor’s degree in aerospace engineering Saturday before becoming a full-time avionic systems integration and test engineer at NASA’s Jet Propulsion Laboratory. Political Science graduate Courtney Dickson, who will accept her degree Friday during the College of Arts & Letters ceremony, will work as an intern for the U.S. State Department this summer before attending law school in Washington, D.C.
On Saturday, Christopher James Walker, a U.S. Marine Corps veteran, will receive his bachelor’s degree in social work with an emphasis on youth development and mentoring. In the fall, he’ll pursue his master’s degree in social work. SDSU will provide courtesy parking during commencement ceremonies at all main parking structures and lots. Campus visitors should be advised that the university expects Viejas Arena to reach its 12,414-person capacity during several ceremonies and alternate modes of transportation to campus are encouraged. Three distinguished SDSU alumni will receive honorary doctor of humane letters degrees from SDSU during the 2017 commencement ceremonies. Retired Casa Familiar CEO Andrea Skorepa (’71) will receive an honorary doctorate from the College of Arts and Letters at its May 12 commencement ceremony. Harold Brown (’59), the first African American to attain administrative rank at SDSU, will be recognized at the Fowler College of Business commencement ceremony on May 13. And former San Diego City Manager and Padres executive Jack McGrory (’76) will be honored at the College of Professional Studies and Fine Arts commencement ceremony on May 14. SDSU has conferred more than 45 honorary degrees since 1963, when President John F. Kennedy received the first, a Doctor of Laws degree.